Single Blast Bottle Washer. 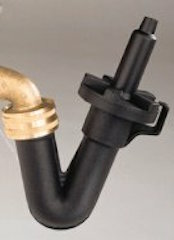 Garden hose thread connects to spigot; push end down to release pressurized water into item to be washed. Must have adapter to use on inside-thread spigots. Press down to rinse. Lift to stop.